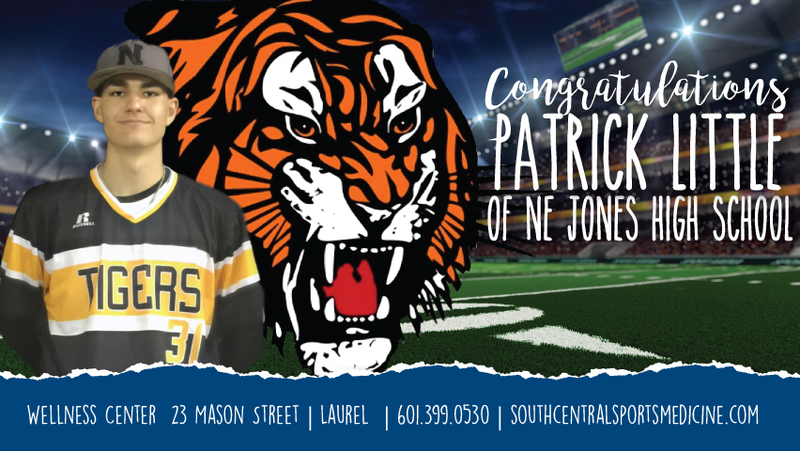 Patrick Little, Senior at Northeast Jones High School, was selected as South Central Sports Medicine Athlete. Patrick plays baseball and football at Northeast. After graduating, Patrick plans to continue to having a great career playing baseball while pursuing a degree in the medical field. Patrick wants to help his teams win state championship in both sports for the upcoming season. If Patrick could meet any professional athlete it would be Randy Johnson, former MLB Pitcher, for pitching tips. The advice Patrick would give to younger athletes is that the season starts long before you take the field.